Abu Dhabi’s renewable energy company Masdar has signed a hybrid refinancing agreement worth £1.27 billion ($1.6 billion) along with Equinor and China Resources Group for its 402-megawatt (MW) Dudgeon wind farm joint venture in Britain’s North Sea. The refinancing by the co-owners of the Dudgeon wind farm involves £561 million ($710 million) of commercial bank debt and £706 million ($892 million) of senior secured notes privately placed with institutional investors, finally maturing in 2032. Both tranches have been oversubscribed, underpinning strong investor interest. Financial close is expected next week. The original financing for Dudgeon was successfully closed in May 2016, said a statement from Masdar. The commercial tranche will be fixed upon the financial close of the transaction and execution of interest rate hedging. The notes have been publicly rated A- by Fitch (EXP), which reflects Dudgeon’s efficient operations and robust asset performance. The financing also includes approximately £150 million in ancillary facilities provided via commercial bank commitments. Lauding the deal, Masdar CEO Mohamed Jameel Al Ramahi said: "This reconfirms the strong bankability of Dudgeon and further reflects the market appetite for large-scale assets which have a robust credit profile, transparent economics and are subject to stable regulatory environments." "It also demonstrates our own commitment at Masdar to the United Kingdom’s renewable energy sector. The combined capacity of the UK wind energy projects in which we are partner today exceeds 1 gigawatts, enough clean energy to supply nearly 1 million homes," he added. The mandated lead arrangers for the deal were BNP Paribas Fortis; DBS Bank (Hong Kong); DNB Bank ASA; MUFG Bank; Skandinaviska Enskilda Banken; Societe Generale London Branch; Sumitomo Mitsui Banking Corporation, London Branch; and The Norinchukin Bank. The Dudgeon Offshore Wind Farm is located 32 kilometres off the Norfolk coast. It produces 1.7 terawatt-hours (TWh) of electricity annually, the combined output of 67 wind turbines, sufficient to power an estimated 410,000 UK homes and displace 893,000 tonnes of carbon dioxide annually. Masdar and Equinor (formerly known as Statoil) both own a 35 per cent stake in the UK project along with China Resources Group, which has the other 30 per cent stake. Dudgeon started operations, as scheduled, in October last year. 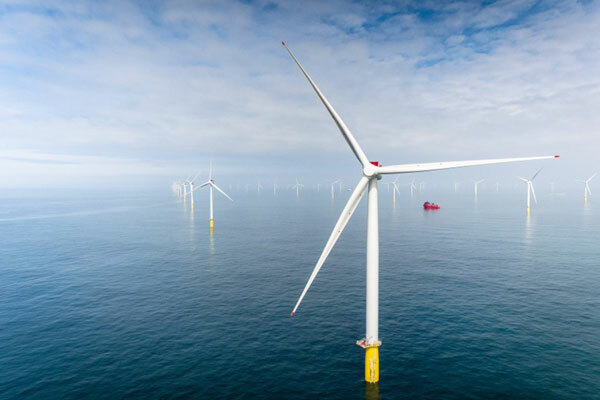 It was one of the first UK offshore wind projects to be awarded an investment contract under the UK government’s ‘Contract for Difference’ (CfD) scheme, in May 2014, and the first CfD offshore wind project to obtain financing, in May 2016. "It is a unique project with strong operational performance," remarked Beate Myking, the chair and director of Dudgeon Offshore Wind Limited.